We’ve tried electronic cigarettes before and weren’t too pleased with the experience.That’s why when Logic E-Cigs reached out to Business Insider and claimed to have a better e-cigarette than other models I was excited to try it out. 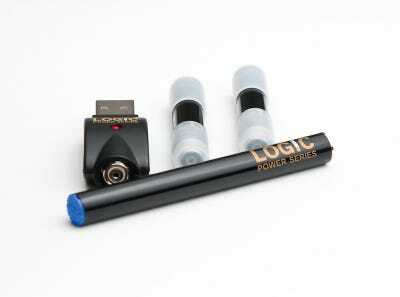 Logic offers several types of electronic cigarettes but I tried the rechargable version called the power series. 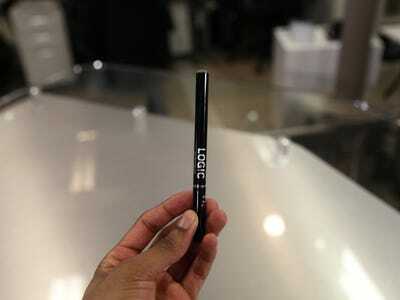 One Logic Platinum e-cigarette equals two packs of traditional tobacco cigarettes. Logic claims that its e-cigs allow for 2.5 seconds per puff for 400 puffs total compared to similar products that typically only offer 1.5 second puffs for 400 puffs, which results in less vapor. Using the Logic wasn’t a bad experience for me personally. Logic is slightly longer than a normal cigarette. I tried both the menthol and regular flavours. The Logic’s battery lasted much longer than the NJOY. I’ve been using it sparingly for almost two months and it has not run out of battery. The pull felt substantial and I exhaled a good amount of vapor. When you first pull on the Logic you’ll notice an instant nicotine hit resulting in a small buzz. But after using it frequently the original buzz was almost non-existent. Another reporter remarked, that when they took a pull on the Logic they felt like they wanted to throw up. The reporter believes that this could have been a result of the taste. The nauseousness could have been a result of the reporter not being a regular smoker. In a perfect world, electronic cigarettes would replace traditional cigarettes, helping to make smokers slightly more healthy. Overall smoking in general is a terrible habit, one which I wish I wasn’t so addicted to. For now, I prefer the taste and satisfaction that comes from a regular cigarette until I can kick the habit for good.